I was seeing raspberries everywhere I was looking. 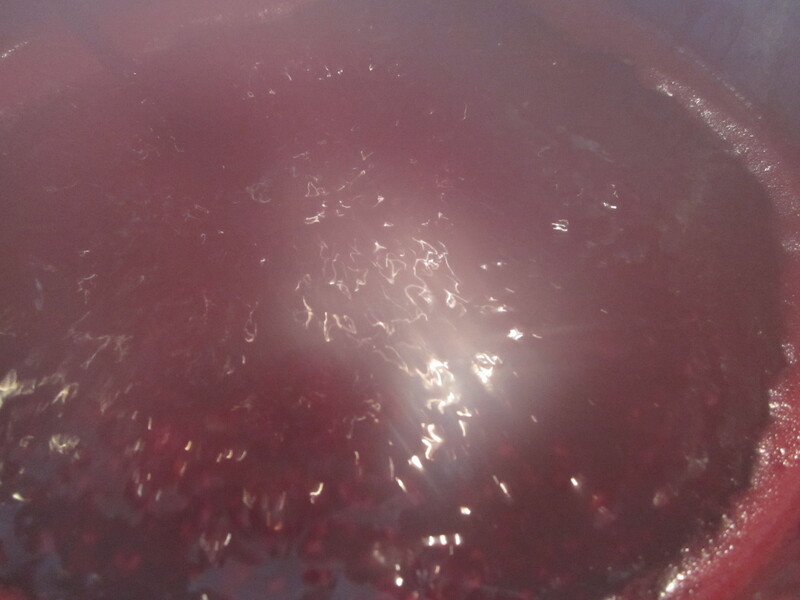 Even making 3 litres of Raspberry Liqueur didn’t diminish the berry mountain as much as I needed to. The freezer was still full. There was ruby berry juice everywhere. Something needed to be done straight away. I collected all the jam jars I could find in the surrounding area, rolled up my sleeves and but on some serious tunes and got jam making. Ahh the old time method of persevering a glut of fruit before it rots and someone cries. 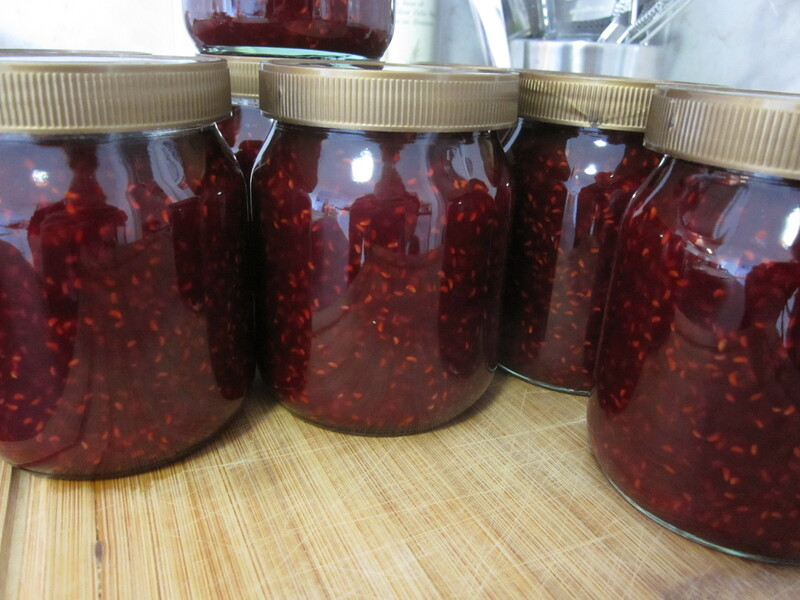 I made a nice simple jam but you crazy kids can flavour it up with all sorts, vanilla pods, mint and even some raspberry liqueur or sloe gin to give a deep booze flavour. I normally use my Nanny’s old Dairy Cookbook for all my basic recipes but as it’s quite old the sugar content is crazy high. I know you need a high proportion to preserve the fruit (the act of osmosis) but this was teeth rotting volumes. I’ve halved the amount of jam sugar used, this will give you a more soft set jam, more spoon action rather than a knife. If you want a firmer set you can add more sugar. 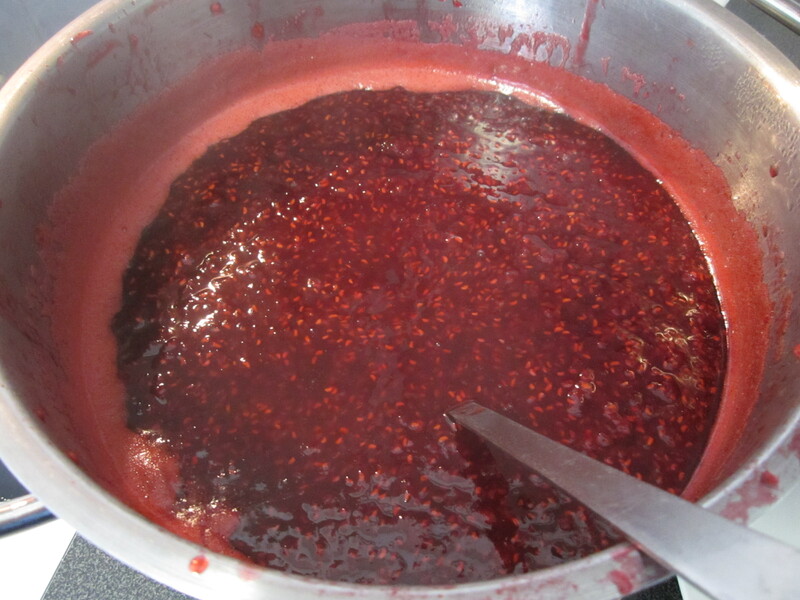 I also use jam sugar which I’ve found to have a perfect about of pectin (setting agent) in it and if you follow the pack instructions you can’t go wrong. In the end I made 30 jam jars of jam. I’m drowning in jam! Don’t worry the recipe below won’t make as much! Makes around 6 jam jars depending on your size of jars. 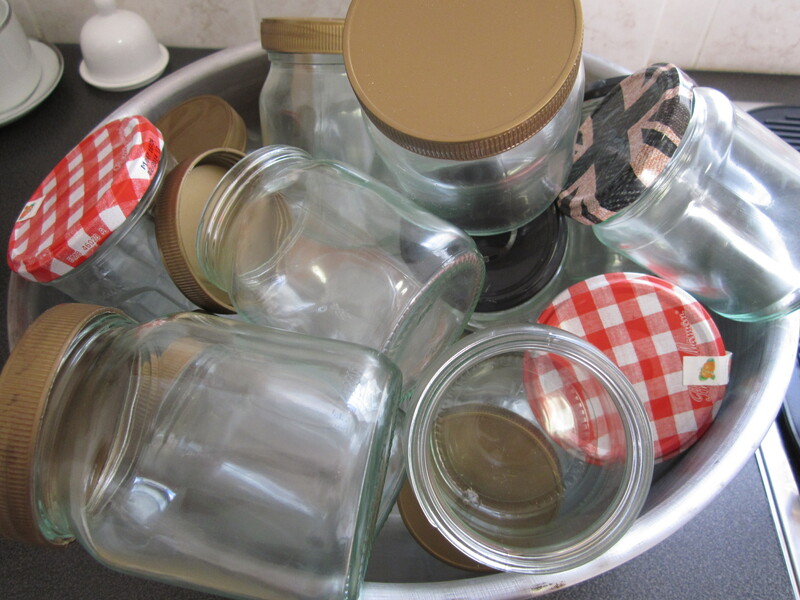 Prepare your jars before use, I add all the empty jars with the lids removed into a big metal bowl, pour boiling water from the kettle over the jars and lids. Make sure they are all covered. Leave to sit while you make the jam. 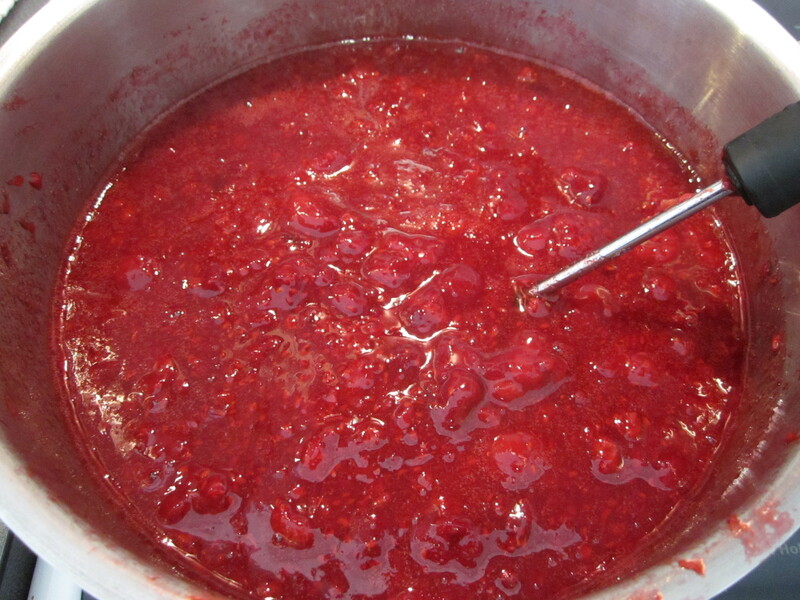 In a large stock pot, add the raspberries, lemon juice and sugar. Mash the berries slightly, but they will breakdown when cooked so don’t worry if not completely mashed. Gently heat the mixture until the sugar has dissolved,(no longer a gritty feel at the bottom of the pan when stirred), bring to the boil then rapidly simmer the mixture for 15 minutes. I’ve never really tested the setting point of my jam as always had good results using jam sugar but if you want to test it, drop a little jam onto a chilled plate that has been in the freezer. Now push your finger through it – it should wrinkle and look like jam. If it doesn’t, boil for 2 mins, then test again. Carefully take the pot of the heat. 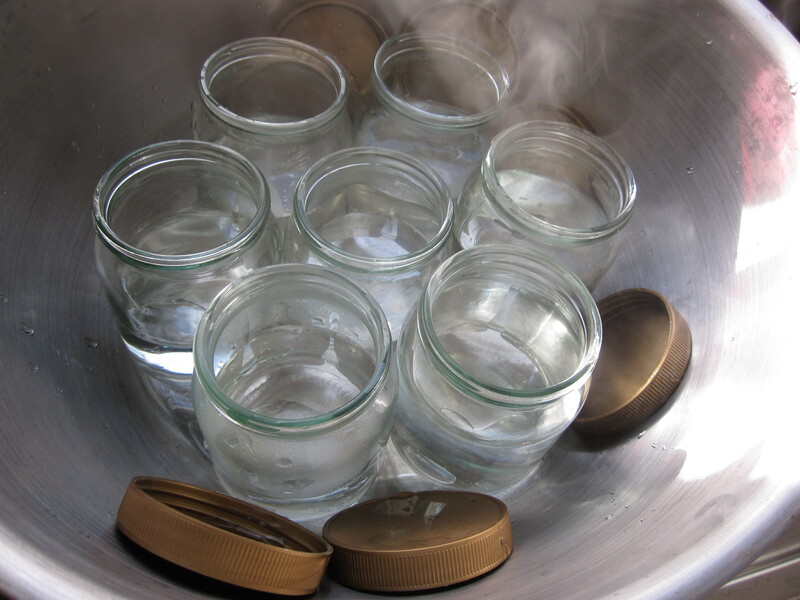 Using tongs carefully remove a jar from the water and shake any water left (don’t use a cloth or get your fingers in the jar or it will short the life of your jam), place on a plate and using a jam funnel and ladle, pour in the hot jam to the lip of the jar. Using the tongs again remove the lid from the water and carefully place on the jar. Using a tea towel, tighten the lid as much as you can. Leave the jars to cool and tuck in on your breakfast treats.